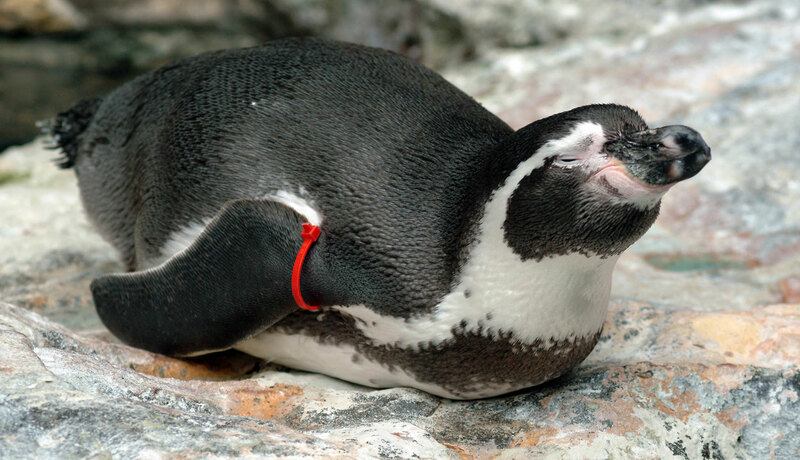 Close your eyes and imagine you are a Humboldt penguin at Brookfield Zoo. You just got your fishy breakfast and now standing on the rocky shores. You’re trying to decide if you want to walk around for a bit or to go into the pool for a swim…until you see it. An enrichment item is right there in front of you, and you excitedly go over and investigate it. What kind of enrichment were you picturing? For those of you who need a reminder, environmental enrichment is a great way to provide opportunities for animals to engage in species-typical behavior (more examples from Dr. Hall’s blog here). 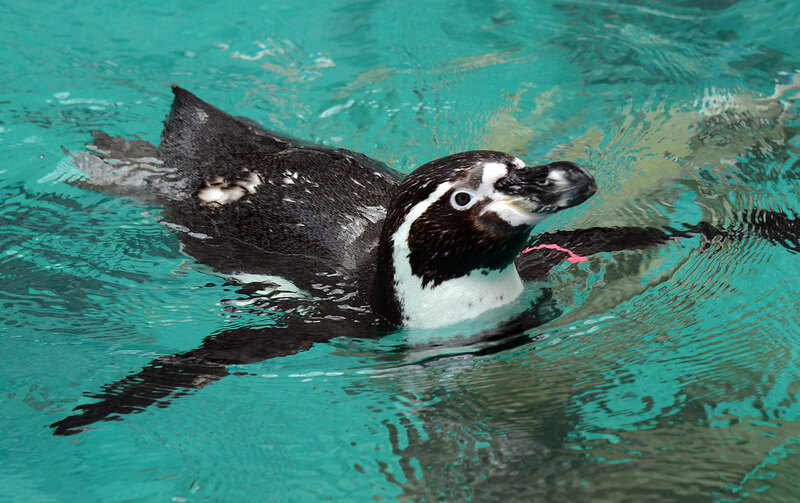 So if you’re a penguin, this means having more chances to move around the exhibit, swim, dive, and preen! Our enrichment team and penguin care staff did exactly what you did just now and imagined themselves in a penguin’s shoes (or feet, in this manner) and thought of enrichment devices that would allow our Humboldt penguins to increase their activity and time spent in the water. They thought of four types of enrichment devices, introduced each item one at a time over the course of 4 months, and we recorded their activity levels and time spent in the water. The four types of enrichment devices used were based on the overall goal to increase their activity levels and time spent in the water. Two of the four types of enrichment devices were made by our enrichment department. These were artificial “sticks” (PVC pipe made to look like natural branch sticks that could float in the water) and a floating island (a raft made from PVC pipe and foam material). The other two types of devices involved food – one was a bucket of live minnows casted into the water, and the other was feeding the penguins their normal diet in the water (the penguins would have to get in the water and swim up to the keeper to get their food). Artificial sticks (left) and a floating island (right) were two out of the four new enrichment devices we introduced to our Humboldt penguin colony. Although we are still going through the data of this study, we noticed a lot of individual behavioral differences with each enrichment device. This is similar with other enrichment studies that show that some items may have a more positive response than others depending on individual preferences. So just keep swimming…and stay tuned for the results!